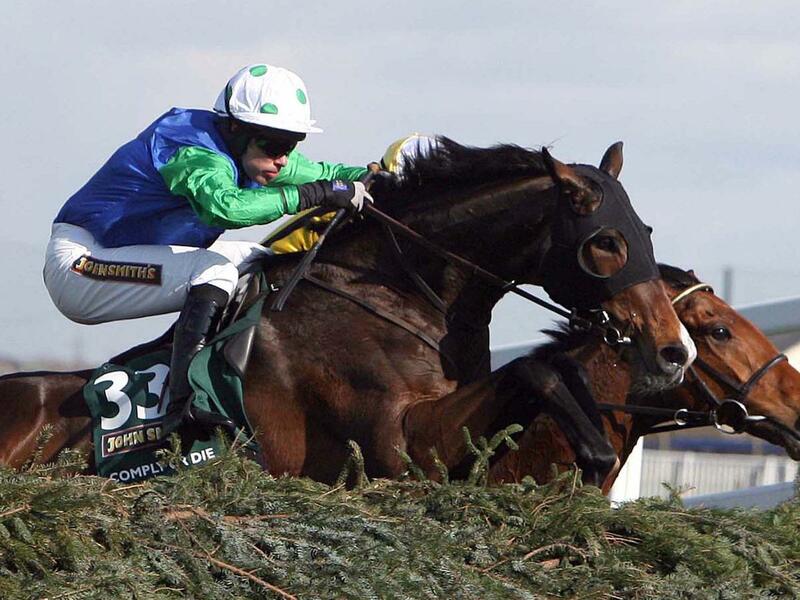 For the first time in 3 years, the Aintree Grand National started without a hitch and with No Full in front over the first fence. Unusually, there were no fallers or refusals, meaning the bunched 40 strong field stayed intact. That changed at the second however, when three horses - King John’s Castle, Black Apache and L’ami exiting, with the latter resulting in a visit to hospital for Mick Fitzgerald. Going over the fourth fence, it was Milan Deux Mille and Mr Pointment heading the now 31 strong field. The early leader, No Full, ridden by Shay Barry, clipped Becher’s jumping it for the first time, which effectively ended his race. Shortly after completing half of this prestigious steeplechase, the Tommy Mullins ride, Chelsea Harbour, ridden by fellow Irishman Davy Russell, took the lead overtaking Mr Pointment, Simon, D’Argent and Comply or Die in the process. By the time Becher’s was jumped for the second time, the remaining field was down to 12, which dropped to eleven shortly after with Point Barrow pulling up. The remaining riders were tightly packed as they turned for home, with the David Pipe Horse, Comply or Die narrowly in front of the other 11 riders with virtually nothing between them. In that group were the grey, D’Argen, Ruby Walsh on Hedgehunter, Simon and Barry Geraghty on Slim Pickings. Comply or Die stayed in contention and after jumping the last the most strongly, the much fancied joint 7-1 favourite gained a lead that he wouldn’t relinquish, achieving the first win by a british horse since Red Marauder in 2001. J P McManus finished a creditable 2nd on King John’s Castle and was followed by Willie Mullins mount Snowy Morning coming in 3rd. Timmy Mullins called it “the win of my career” and that it was just what he needed after a particularly difficult year for him in his personal life. It was also a big deal for owner David Johnson, who was successful in the National at the 21st time of asking. For once, the might and guile of the Irish had to settle for second place.